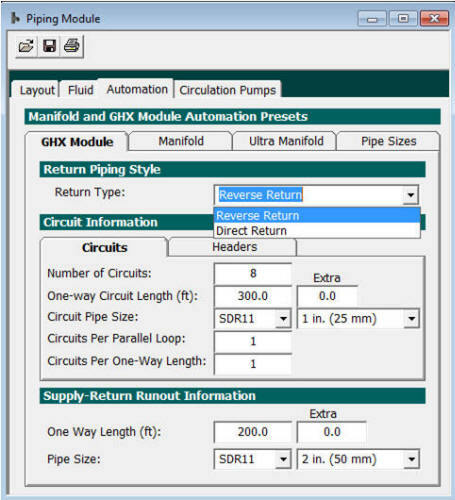 GLD passes the basic configuration of your headering system to the Piping System Designer, which automates the design process using the CFD Module to develop the model. 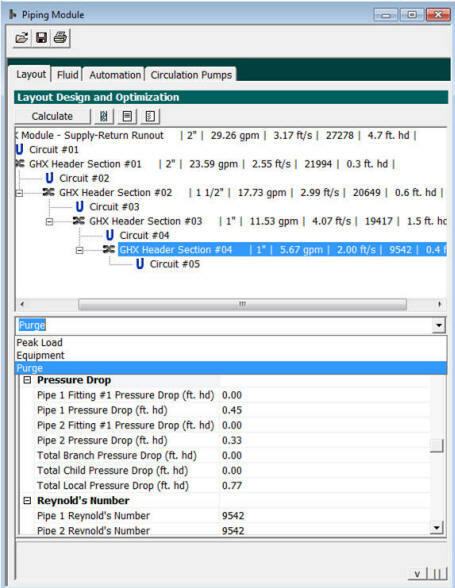 You can customize the fluids, pipes, pumps and design the flows to meet real world needs without the guesswork and trial and error of manually configured systems. The organized tabs allow the designer to systematically customize and optimize the header design to provide a balanced, efficient and cost effective system. 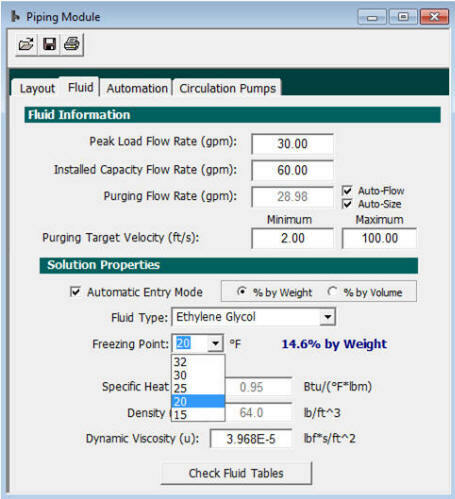 In this tab, the fluids are selected for the conditions of your loopfield. Select from commonly available liquids and the appropriate concentrations. 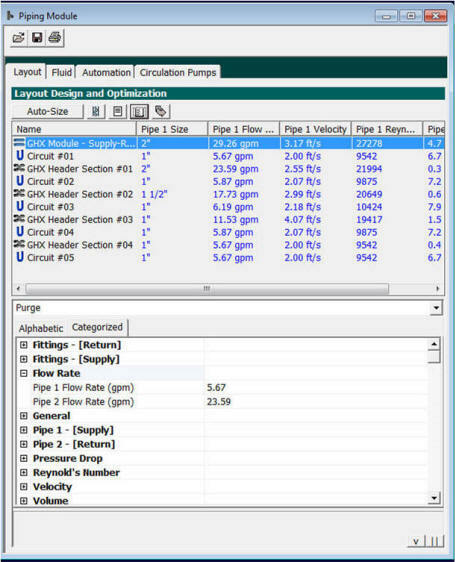 GLD knows about the viscosity and effects on flows. 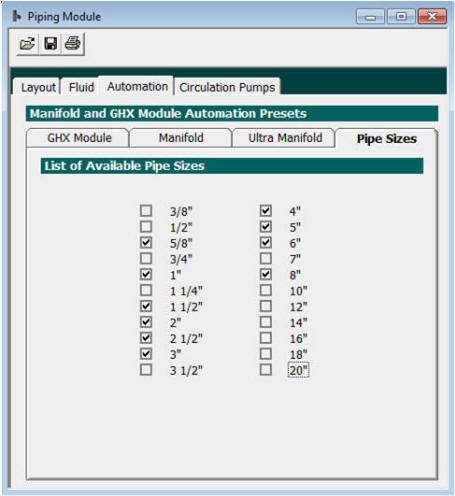 The Automation tab allows design defaults to be set for the loopfield, the return, pipe sizes and types. Don't want to use sizes that are not typical for your operation? Simply select the standard sizes that you want and GLD uses only these for optimizing your design. Display a lot of detail or just what you need. Parameters are laid out next to the circuit component so that you can observe and control the design conditions. 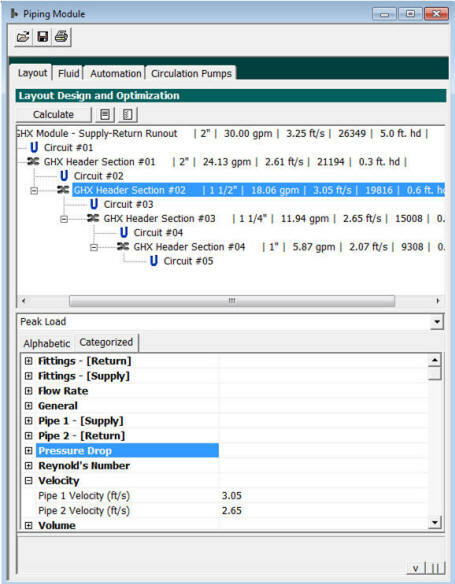 The headering system can be optimized for both the operational peak flows and for purging.